Today, March 27, marks the album release of Cage 100: The Bootleg Series by the contemporary classical ensemble So Percussion. 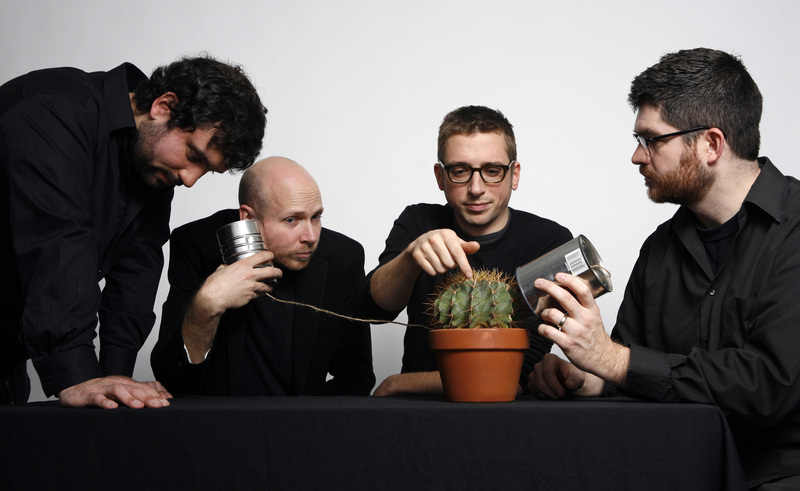 As part of its celebration of the 100th anniversary of innovative avant-garde composer John Cage’s birth, the percussion quartet (comprised of Eric Beach, Josh Quillen, Adam Swilinsky, and Jason Treuting) has been touring a program of works both composed and inspired by Cage—entitled We Are all Going in Different Directions–culminating in the album release on Cantaloupe Music. Beyond the musical content of the album, its distinctive format is in and of itself an homage to Cage. Each of the 300 numbered, limited-edition albums is packaged with a one-of-a-kind handmade cover, an entirely blank LP (à la Cage’s infamous work 4’ 33’’), a download card for recordings of the complete live shows, and a 64-minute sampler CD featuring portions of the compositions featured on the tour. Fittingly, these tracks, including their order and duration, were arrived at using Cage-inspired chance operations. The album’s combination of physical and digital elements mirror the seminal composer’s pioneering use of acoustic and electronic mediums within the same musical composition. 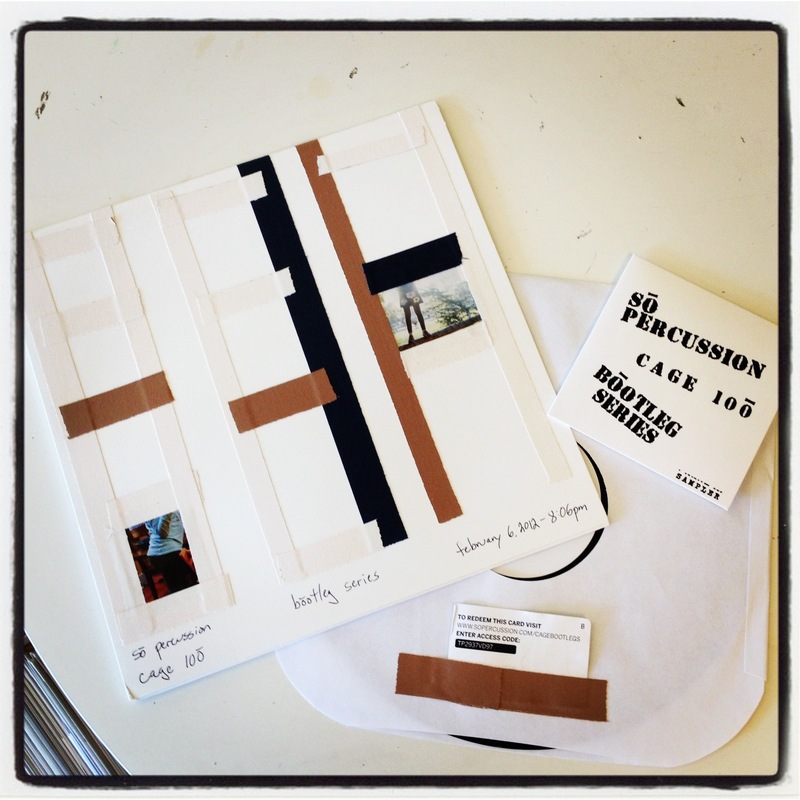 So Percussion's "Cage 100: The Bootleg Series"--image courtesy of Dot Dot Dot Music. The sampler CD, perhaps the best concise overview of So Percussion’s John Cage project, is unfailingly engaging. The listener is challenged to encounter the musical sounds in a self-conscious way—to re-examine his or her relationship to sound itself. 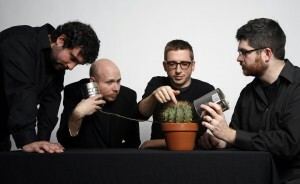 From Cage’s Credo in US (1942), with its collage-like use of random record and radio samples, to the musical exploration of such amplified objects as a cactus in the So Percussion/Matmos collaboration Needles (2008) and soda bottles in the Dan Deacon work “Bottles” from Ghostbuster Cook: The Legend of the Riddler (2011), Cage 100 represents uncompromising experimentation and a penchant for unbridled invention. For more information about the So Percussion release Cage 100: The Bootleg Series, visit the group’s “Cage Bootlegs” page.